As we wallowed in the ‘commemoration’ of the start of the First World War (when does commemoration tip over into wallowing and celebration? ), another anniversary slipped by largely unnoticed. August 2014 not only marked 100 years since the start of WW1, a conveniently long enough time to ensure that no one is still around to recall what a huge disaster it was, it also marked three years since the Croydon Riots. Take a stroll up London Road: the devastation is still apparent. The only green shoots in evidence are those growing out of abandoned and run-down buildings. 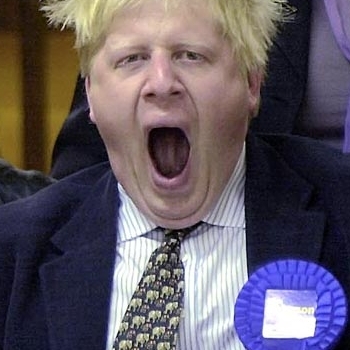 It is worth recalling that Boris Johnson, the then and regrettably still Mayor of London, was on holiday in the USA at the time. Our elites don’t like to stint on their holidays! After all, it cannot be easy to hold down public positions, well paid second jobs and consultancies at the same time as has become their custom and expectation. They also need lots of time to invest their grotesquely huge pension savings ready for the time when they will no longer be ‘serving’ us. In Johnson’s absence, the BBC turned to his predecessor, the principled and independently minded Ken Livingstone. Ken condemned the violence, but dared to point out that it was caused by depriving young people of “hope and opportunities”. For this he was roundly condemned in the capitalist press and media. Ken, of course, was right. A report earlier this week from KPMG, an organisation that generally concerns itself with reducing in any dubious manner that remain just inside the law the taxes of corporations and wealthy individuals, not with the plight of workers, found that 22% of those in work receive less than the living wage of £7.75 an hour (£8.80 in London). in 2012 the number of teenagers staying on in school after the age of 16 fell for the first time in a decade and the proportion of 18 year olds not in education, employment or training’, so-called NEETS, rose by 8% in the same year. It would take a very optimistic youngster, not having been born into the 1% of the population that comprises our ruling elite, who did not to feel deprived of hope and opportunity by these findings. Meanwhile, to end on a positive note, see you all at the Croydon Assembly on Saturday 15 November when we can discuss what is to be done about the mess we find ourselves in..
Croydon and beyond, Boris Johnson and the Incinerator. 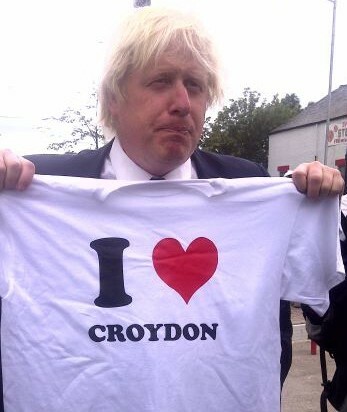 Croydon’s Greens and other groups opposed to the £1 billion Beddington Lane waste incinerator scheme were in celebratory mood last night thanks to help from a most unexpected source: Mayor of London Boris Johnson. The Greater London Authority has submitted a detailed report which found eight significant points under which the plan by waste management giants Viridor, the contractors selected by Sutton’s Liberal Democrat-run Sutton council and Conservative-run Croydon, can not progress under Boris’s London Plan. Sutton Council issued a statement last night, which did not take much reading between the lines to sense the embarrassment at such weighty objections. Ransford Stewart, Sutton’s interim executive head of planning and transportation, said: “The Mayor of London has provided a very detailed response to Viridor’s planning application for an Energy Recovery Facility in Beddington.” Ahhh. Still can’t bring themselves to call an incinerator an incinerator. “It’s important that everyone has the opportunity to have their say on this important and complex proposal,” Stewart said, probably wishing that Boris Johnson hadn’t been one of those who decided to have their say. “Sutton Council will continue carefully scrutinising the contents of the planning application, seeking expert technical advice where necessary, to ensure there is a sound basis on which to make a planning decision. We will also review all of the comments made by residents and public bodies. This, to paraphrase Churchill, is not even the beginning of the end for the incinerator saga: in all likelihood Viridor will now go away and modify their application in order to try to address the GLA’s objections. With contracts worth £1 billion over the next three decades at stake, they and the local councils who have backed this scheme are not going to let this drift away without some effort. Yet there is a growing realisation about the health risks of waste incinerators, the contradictions over the use of proposed parkland near Mitcham Common, and increasing acknowledgement that the boroughs in the South West London Waste Partnership will be unable to generate enough waste to feed the incinerator – seeing local authorities from across southern England “export” their crap to this corner of London. So any additional delays will not assist the incinerator’s cause, and objections from someone as influential as the Mayor of London’s office will be much more difficult to brush aside than those from “mere”, well-meaning action groups of ordinary people concerned about the health of their children and grandchildren.